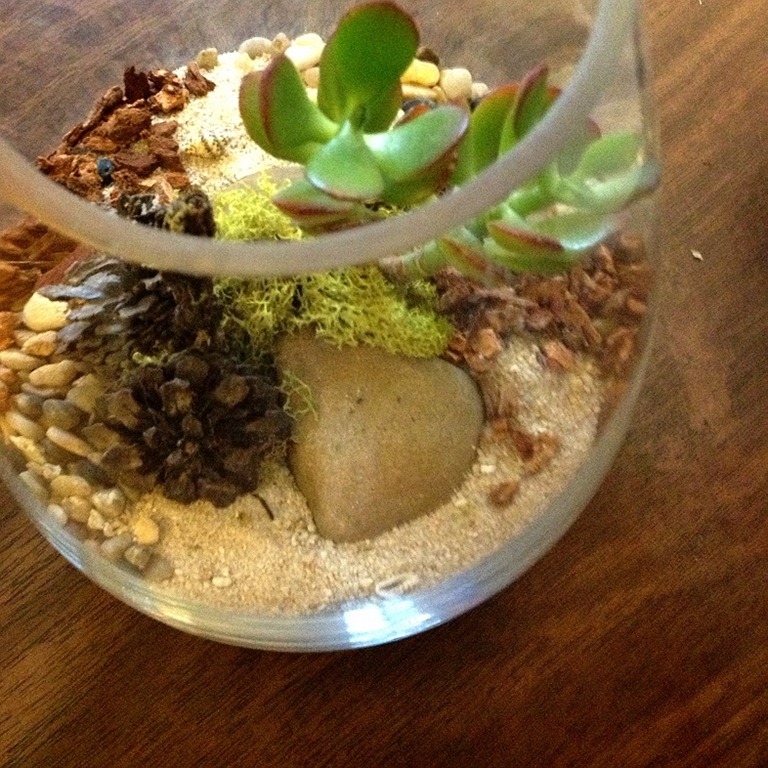 This is my terrarium. I absolutely love it. It only needs to be watered once a month. This is the perfect plant for me. 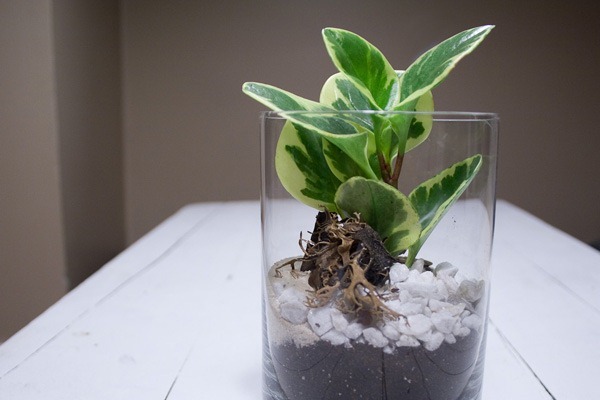 It’s small, cute, needs only minimal care, and looks like miniature animals should live in it! 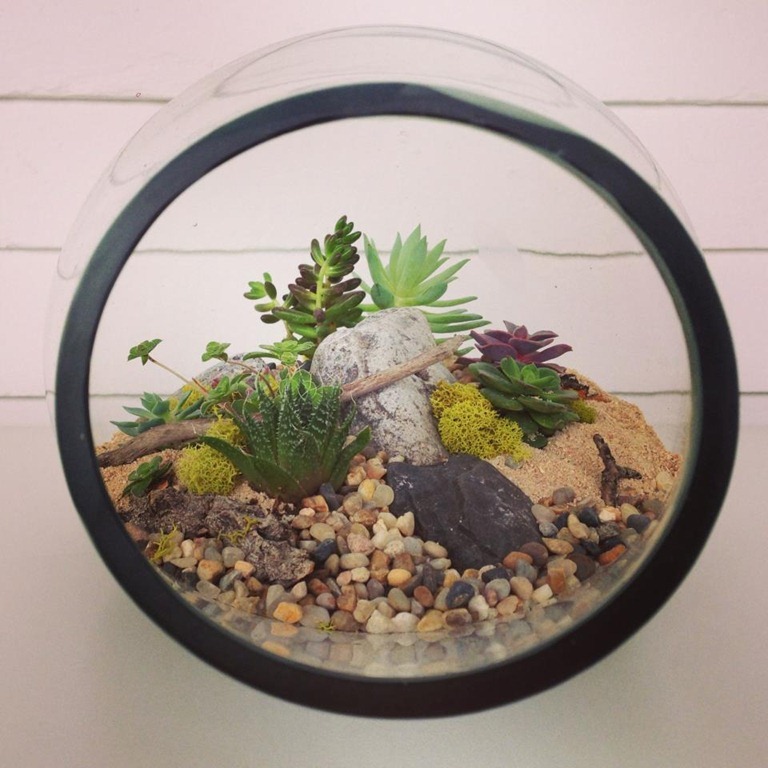 I bought this terrarium from Kyle Chow, the creative green thumb behind Plant, Distinct Terrariums, based here in Calgary. 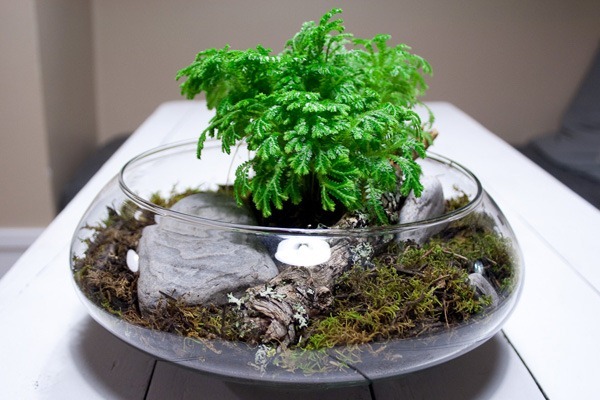 I had seen his table before at Calgary’s monthly Market Collective and longed for one of these little landscapes, but didn’t take the leap until last month. Now it sits on my counter and brings a smile to face whenever I see it. 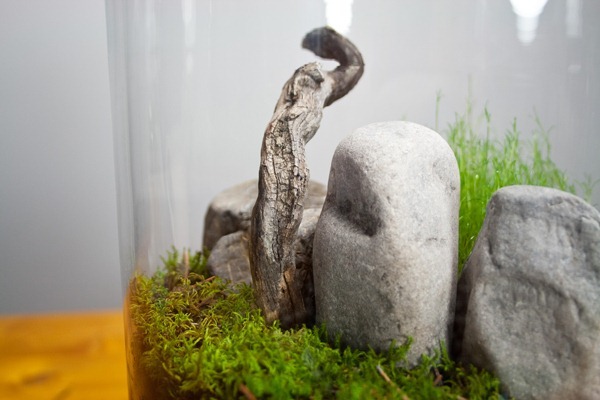 Kyle’s terrariums are really works of art and you can tell he really puts thought and care into the placement and composition of the tropical and succulent plants, rocks, moss, sand, bark, and other little bits of nature found in Alberta. 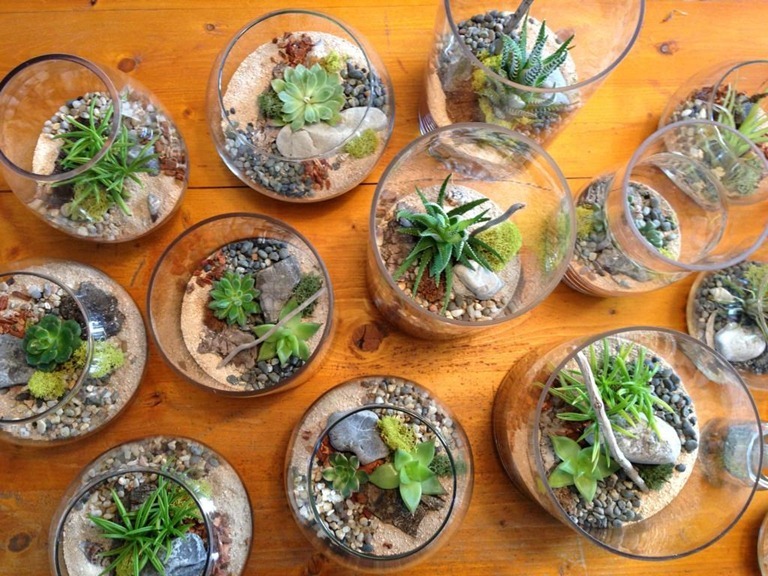 Starting at $10 and up these terrariums are very affordable with most pieces in the $20 – $45 range. All sizes and shapes of vintage and new glass are used including vessels that can be hung and Plant does custom work too! 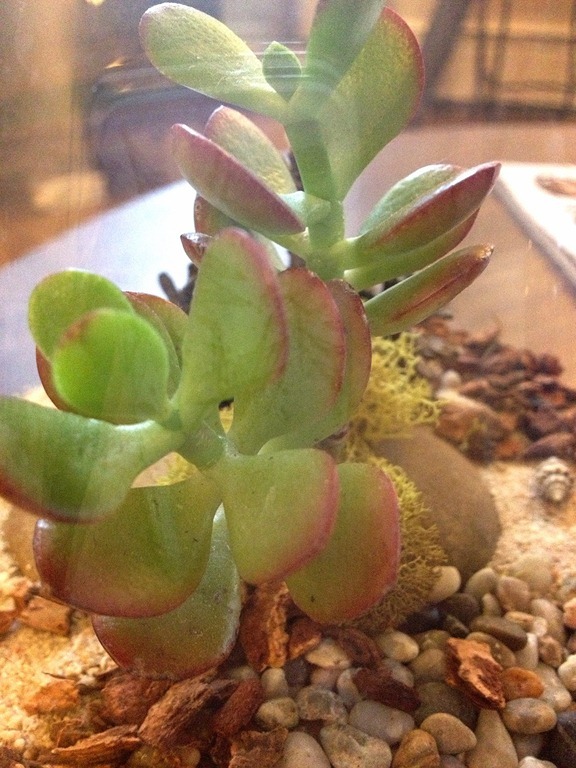 All photos below are taken from the Plant, Distinct Terrariums website. 1. What is your favourite color? My favourite colour is grey. I realize this is not much of a colour, but I am a big appreciator of neutrals. You’ll find white, black and every shade of grey in my home. I usually let any vibrant colour come from natural materials. 2. 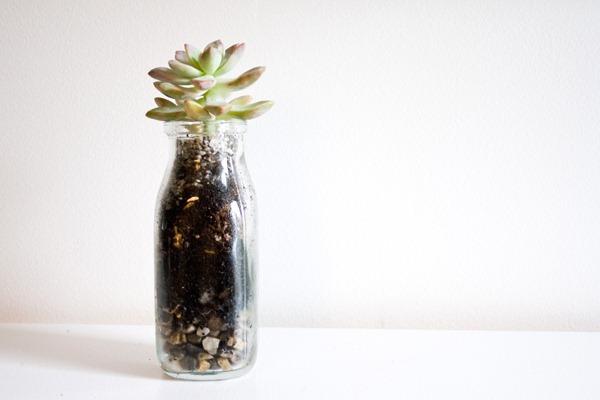 Where is you favourite place to display a terrarium? 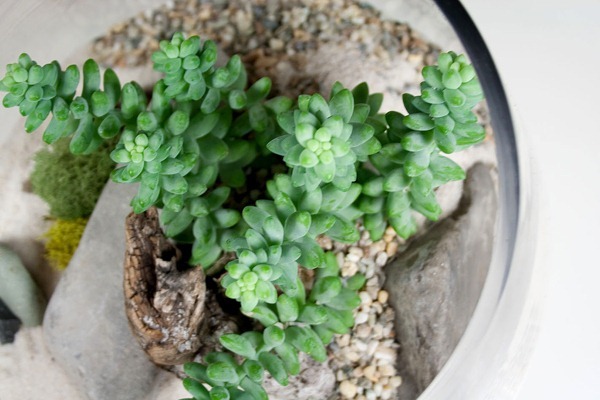 I like to display my terrariums all around the house, but my favourite spot is usually a few feet from a window, close to where I can sit and investigate the miniature environment. 3. 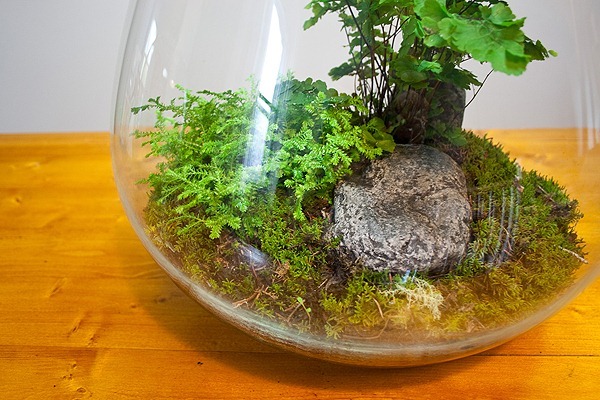 What should someone NEVER put inside their terrarium? 4. Do you sing to your plant? and if so what song? Unfortunately, I’d probably need a choir to sing to all my plants, however, a sing-a-long to Wilson Pickett’s, Don’t Let the Green Grass Fool You never hurts. 5. Where is one of your best-loved places in Calgary? I love the River Park off leash area at the bottom of 14th Street SW. 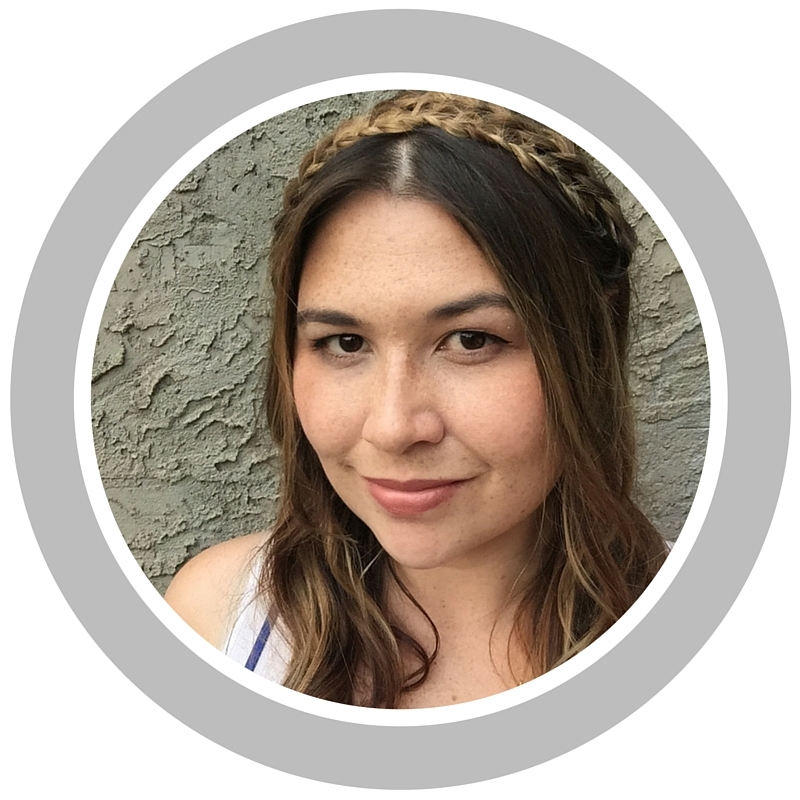 It has a great landscape, excellent view of the Elbow river, the downtown skyline and of course, our dogs love it! 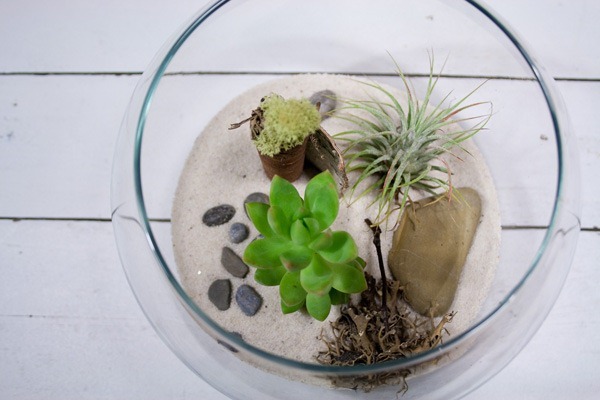 Check out the website http://plant-online.net/ where you can view and purchase terrariums. If you’re in Calgary they can also be found at The Uncommons in Inglewood. 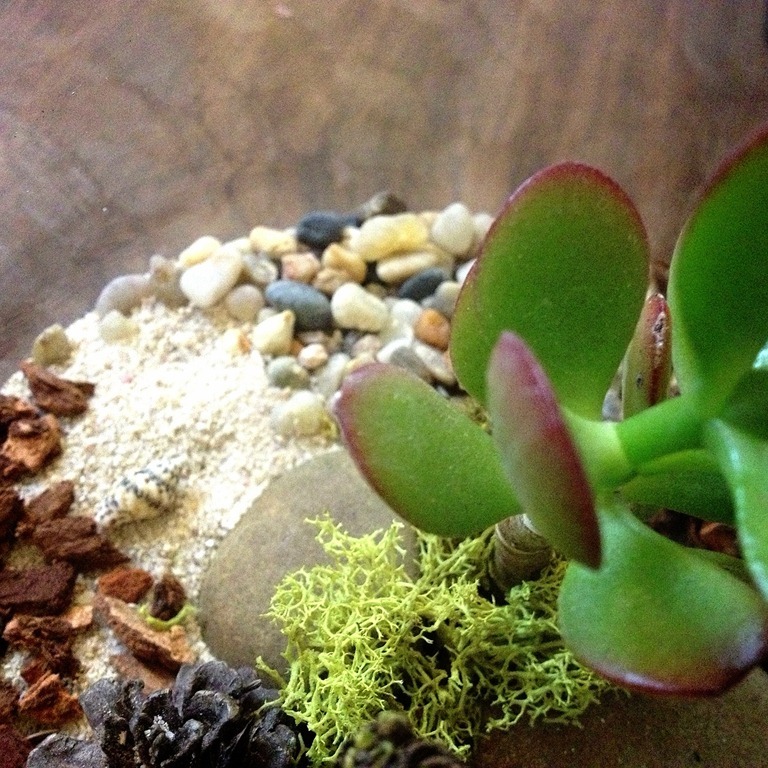 Follow Plant on twitter @PlantTerrariums And on Facebook! I could see myself with a whole collection of these. 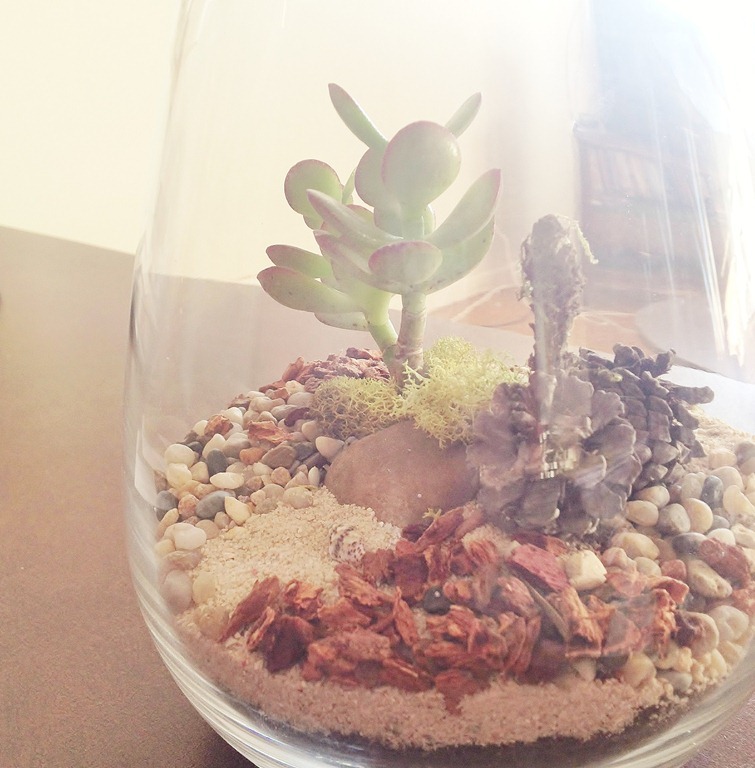 I could be the crazy terrarium lady! No cuddling but WAY easier to care for then 20 cats!